3-Storey House and Lot for Sale in Batasan Hills Quezon City. Ready for Occupancy House and lot for Sale in New Manila Quezon City. Corner House and lot for sale in Filinvest 1 Quezon City. House and Lot in Greenview Executive Village, Riverdale Street 100 SQM Floor area. Quezon City Customized Duplex House in North Olympus Zabarte. 862sqm Lot with a House in Novaliches near Quirino Hwy. House and Lot in Filinvest 2 Commonwealth Quezon City. 4BR House and lot for Sale in New Manila Quezon City. READY FOR OCCUPANCY LUXURIOUS House AND LOT WITH ELEVATOR. Brand New Single Detached House and Lot in New Manila QC. House and Lot in Greenview Executive Village, Woodside Street, West fairview 5BR,3TB. 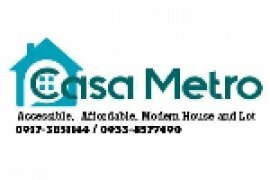 single-detached Houses for sale Batasan Hills, Quezon City..
Pre - Owned Big House And Lot For Sale At Casa Milan Subd. Bungalow House for sale inside Gloria-IV Subdivision, QC. RFO Houseand Lot in White Plains 4 bedrooms along Main Road. Contemporary Tropical Design READY FOR OCCUPANCY SINGLE DETACHED House and Lot, LUXE-LIVING in North Quezon City. 3Storey Single detached FOR SALE in Casa Milan Q.C-Keziah. EXQUISITE LIVING IN A LUXURIOUS AND SPACIOUS HOME WITHIN THE HEART OF QUEZON CITY. Hobart Subdivision, Brgy Kaligayahan, Quezon City near Quirino Highway. North Olympus Customized House near SM Fairview 3br 2cr. TownHouse in Don Antonio Commonwealth Quezon City. Hello, Please contact me, I am interested in houses for Sale in Quezon City. Best Regards. If you're looking for a city that still have the right mix of urban and suburban charm, then Quezon City is the place for you. The city built for the common man is still one of the most progressive municipalities in the Philippines today. Filled with jobs, food, and entertainment, this city perfect for the whole family is truly the place to be. Quezon City is the largest city in Metro Manila. Located in the North, Quezon City is four times larger than Manila. It's also known as the entertainment hub in the country since three major television networks are located there. Celebrities and actresses freely roam around the city. Quezon City is also known for its family friendly centers such as the iconic Quezon City Memorial Circle. It's easy to see why Quezon City is a number one residential hot spot today. Aside from having a suburban charm, Quezon City promises a good life. Jobs are abundant in the tech districts that can be found in the city. The top schools in the country are also located here. An affordable house in Quezon City is a good place to start a new life. Aside from schools, there are also tons of entertainment centers available in Quezon City. There's the Eastwood City perfect for the young professionals who enjoy a work and play lifestyle. There's also hipster clubs and bars available for the cool millennials. Malls like the Robinsons Magnolia, Gateway Mall, and Farmer's Market are just a few of the shopping malls that you can enjoy in Quezon City. And of course, who can forget the trademark SM North EDSA? Residential opportunities never end in Quezon City. Condominiums near Eastwood, house for sale Tandang Sora and other types of developments are always available. 2,301 houses in Quezon City are available for sale. Save this search to receive emails when new houses for sale are listed in Quezon City. The average listing price in Quezon City was ₱ 23,982,475 on 1 Apr 2019 and the average size was 307.2 square meters with 4.2 bedrooms. The average price per square meter for houses in Quezon City was ₱ 78,068. New homes for sale in Quezon City include Commonwealth by Century Properties by Century Properties, Aurora Escalades by Robinsons Communities and Trees Residences by SM Development Corporation. 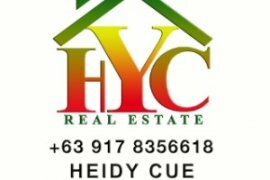 If you cannot find a property for sale that meets your requirements then try searching our houses available for rent in Quezon City. Dot Property also provides helpful guides, blogs and regular news to help property buyers with their search.